Here is a transcribed conversation taped in September 1972 between Peter Mayer and Milton Glaser. I have transcribed it from Book to digital format for you! Is there a difference between design and art? Several, but they are not as obvious as one might suspect. In some areas the objectives of art and design are harmonious and congruent. Confusion often arises in those instances when the disciplines and objectives are separate. In design, there is a given body of information that must be conveyed if the audience is to experience the information. That objective is primary in most design activities. On the other hand, the essential function of art is to change or intensify one’s perception of reality. Through most of history perception and information existed simultaneously in works of art. The stained glass windows at Chartres tell the story of the stations of the cross to a non literate public... and great artists were used to that end. As society developed the information and the art function diverged, and distinctions were made between high art and communicating information to increasing numbers of people. High art, of course, is supposed to have the more elevating characteristics. When you are asked to help “sell” a product, do you see yourself as going beyond the public’s consciousness of the product, changing people’s perceptions, in other words. Perhaps the answer can be found by indirection: the reason new forms usually don’t emerge from the design activity - as they do in what we’ll call the art activity - is that design in many ways is a vernacular language. Design-related work assumes that the audience addressed has an a priori understanding of the vocabulary. The essential heart of most art activity is the self-expressive potentiality that the form offers, enlarging therefore the possibilities for the invention of new modes of perception for both the artist and the audience. Meaningful works address us in a way that alters our perception of our reality. Walking past a forest it is possible to say, “that looks like a Cezanne,” the implication being that Cezanne has altered our visual perception of forests. Design works differently. It conveys information based on the audience’s pervious understanding. Because design deals with familiar forms, much of it depends on the cliche. In fact, the study of cliche as a mode of expression is fundamental to an understanding of design. Cliches are symbols or devices that have lost their power and magic; yet they persist because of some kind of essential truth. Clichés are fundamental sources of information, debased sources waiting to receive new energy. In design, as inso many other things - from human relationships to logotypes - frequent contact often produces immunity to the experience. Two things can help here; an attempt to maintain an innocent vision and the capacity to respond to internal and external changes. Do you feel that there is a moral aspect to your work, or perhaps to graphic design in general? I think that attempts to deal with the relationship between art and morality are very complex. Perhaps I’m alluding to a designer’s responsibility of society, if he has one. One can see the complexity in difficulties some designers who work for ad agencies are experiencing now. The sense is growing that much work produced by advertising agencies may be harmful to the community addressed. Intensely. But I feel that anyone involved in communications comes up against that problem.. and always has. Now we’re beginning to realize that all aspects of communication, whatever the form, have extraordinary implications to the community receiving the information that is distributed. In fact, we know that a comic strip may have a more profound effect on its community that a work of Picasso. For that reason alone, a critical examination of banal graphic phenomena is a worthy investigation indeed. Recent critical attention paid to comic strips and posters support that idea. In other words, it’s important to have a critical view of these artifacts because there are so terribly significant in establishing the mythology and the ethos of a people. Because one can clearly see in your work a continuing interest in the historical sources of the communication of ideas, as well as the persistence of forms, I wonder if there was something in your student years at the Cooper Union, or later in Italy, that led to your interest in style and tradition? At Cooper Union, like most students, I studied the fundamentals and was fortunately exposed to a world of many stylistic alternatives. At Bologna, studying with Giorgio Morandi, I encountered a classical past and met a great man. Why do you work in so many styles? Psychically I know it has a lot to do with boredom, with my inability to sustain interest in one form or to be committed to one form of expression for ay length of time. At one point in my life I realized that anything I did long enough to master wan no longer useful to me. I’ve always felt that I could explore many phenomena, that, in face, the whole visual history of the world was m resource. But I really can’t say how my interest in many styles developed. Perhaps out of weakness. Perhaps there was an incapacity to deal with certain kinds of problems or to solve them in one idiom. You could say that self-expressive activities have their source as much in a person’ inability to deal with certain kinds of problems as in anything else. so I can’t really say why my own interest has always been in essentially breaking down the expectation of what design should be. One of the things I decided early on was that a designer I didn’t have to be committed to either design, typography, or illustration, that I could, in fact, design a story or make a toy. When I entered the field there was a very rigid distinction between the designer and the illustrator, in terms of function. There were very few designers who illustrated and very few illustrators who had any idea of how to design. My desire to exercise as much control over my own work as I could usually kept me away from situations in which I would have to entrust my illustration to someone else’s notion of design. George Salter, a teacher of mine at Cooper Union, was a major influence. he was an excellent calligrapher and also an illustrator. I feel that his work always had that unity and conviction that emerges from dealing with the total surface. But you can only exercise that broad control if your understanding of technique, culture, and history are broad. Obviously everything that you’ve ever seen in your life has the potential to be integrated into your work but it’s hard to take advantage of that fact. 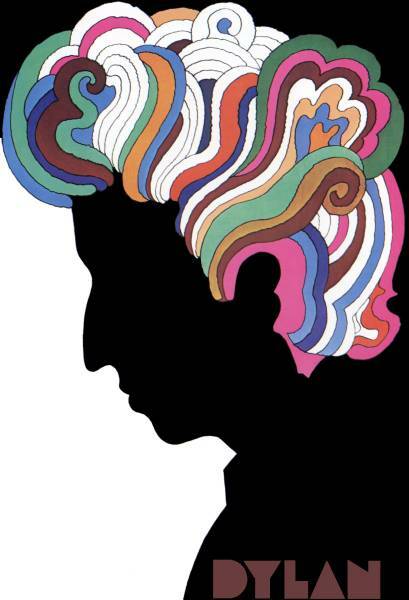 I’ve often heard people say, “well, that looks like Milton Glaser’s work.” Aren’t those people responding, in many cases, to one aspect of your work that has become broadly imitated? How do you feel about imitation? Well, I don’t feel personally limited by third party elements. After all, no artist is really trivialized by what others do with his work. It’s certainly not m concern. Imitation is interesting, although there’s a distinction between influence and imitation. distortions occur int he surface qualities of imitated work. These are heightened and become the pervasive element of the work. Imitation has a cultural function, after all. It aids in defining and popularizing a style. The school of Rubens defines and illuminates Rubens. we all begin by imitation. The penalty for consistent imitation, unfortunately, is the erosion of personal vision and artistic sensibility. My central concern, however, is not with others. I’m trying to use design activity as a device for personal growth. On the best level one’s activity as a designer can be an extraordinary mechanism for self-realization. In other words, you look for new energy to emerge from your work and have it enrich your whole life? Right. it’s peculiarly appropriate in that sense. any man’s work has the potentiality of being used for that purpose. But there are some peculiar aspects to design activity as it relates to the subject: First of all, one is involved in feedback, the response to information, in a sense, the justification one gets from the work itself. This has nothing to do with the approval that one gets from an audience. Partially it may have to do with producing a physical record that exists in time. The artist and designer have the opportunity to see their work over a ten-year period and seeing the visual or tangible manifestation of certain states of mind it represented. We’re talking about a lifetime feedback. Most people don’t have access to that kind of information because most jobs don’t provide and objective documentation. Do you ever have a sense in reviewing your work of an emerging sensibility not yet created? A sense of where you’re going, in other words? One can see the roots of certain phenomena in a work before they occur. I mean, you can see a certain kind of move towards a certain kind of form, a certain concern for line or color, whatever it is, beginning to develop. I think part of the reality of the situation is the blindness of the direction. There are always numerous possibilities for your solution; you can always justify a choice on the basis of the existing condition but that doesn’t exclude other solutions; it simply means that out of the choices you have at any given moment, for reasons deeply rooted in your psychic life you make a choice, some choice, hopefully the right choice, whatever “right” means. In a supermarket of choices, how do you begin to solve a design problem? Basically two possibilities exist. One is the professional response to a given problem that emerges form recognizing previous successful solutions to similar problems. To a large extent using successful formulas with relatively predictable results is professional yet, by definition, noncreative. A more meaningful kind of procedure occurs when the problem is not susceptible to a reliance on previously successful formulas or to an intellectualizing of the content. The creative process is essentially a blind process where you do not pre structure and you have to allow information to arise in a spontaneous way uncontrollable by the will. The best work i’ve done occurred in that way. The most meaningful developments in my work are those that occurred in voluntarily and blindly, without my knowing what I was going to do, when I had enough faith in my own creative process to be willing to wait for it to happen without my will demanding it. But in a society where design is demanded by people perhaps not terribly sensitive to design or the problems of the designer, don’t you feel the designer is permitting himself the luxury of a waiting period? I can only say that the best part of my work is that work where that condition existed and the other part of my work which is visible is professionalism. Can you conceive of another society or work or nation in which the artist would be freer and consequently more creative? No. I think there’s too much ambiguity about the idea of freedom. You mean we use the word too loosely? Well, certainly quality in art seems to come as much from restriction as it does from freedom. When you say “restriction,” do you mean external demands? Right. I mean the history of art demonstrates that great art was produced within a context of severe restriction and specific demands. Much more important than abstract ideas of freedom and restriction relative to art is the qualitative nature of the audience being addressed. The decline of great cooking Paris can be traced to a subtle re-orientation of the chefs forma cuisine based on informed local patrons to a cuisine prepared to tourists unfamiliar with the tradition. Their ability to pay entitled them to make demands on the chefs but they didn’t know what demands to make. I remember spending a week with you in which we drove through the northern part of Italy chasing down every Piero della Francesca we could find. Was there something in Piero that speaks to some of the things that we’re talking about here whether a relationship with tradition, or something else or was it just that we happened to be there? Is there something special that excites you in Piero? What do you mean by the sense of inevitability? Well, the forms in Piero,the composition and the structure, the sense of classicism. We are confronting a sublime intelligence... Nothing in Piero can be altered or changed. It’s inevitable, as though nature gave it to us. It’s this passionate, cool, precise, geometric ordering of elements in their most perfect relationship that as a designer, I find beautifully intriguing. At the same time I’ve always been fascinated by the opposite: the qualities of arbitrary expressionistic disorder. My personal feeling for Piero lies in his perfect realization of half of my interests. I’ve always been enormously attracted to the polarities, and Piero represents, like Vermeer, a real half, a basic but very significant half that I can experience in the deepest way. It seems to me that both your frames of reference and your resources encompass broad areas of bother American and European life. But, superficially at least, that doesn’t seem prescribed by your background. First of all, I’ve lived and worked in New York most of my life and New York occupies a peculiar position relative to the rest of America stretching West, and Europe to the East. My own immediate background is European, both my parents coming from Hungary. Like New York itself, I’ve been nourished by two main cultural experiences. New York is the communication and information center of the world, and the range evident in my work is surely, at least partially, a result of where I work. Also, perhaps being Jewish is a factor too- to the extent that a detachment from a narrow nationalistic identification permits a great openness to a great variety of American and European inputs. What I’m trying to ask about is the range between.... Let’s talk about specific ... your book cover illustration for Mauriac’s Therese, for example, which seems wholly within the European experience and, let us say, your Dylan poster, which seems to make a uniquely American statement. If I talk about the Dylan, you’ll see what I mean. Perhaps you’ll construe your sense of ‘range’ differently. The Dylan emerged form two very different conventions. One is the memory echo I had of a silhouette self-portrait that Marcel Duchamp cut out of paper. I remember it very clear, a simple black and white profile. The convention of Dylan's hair really emerged from certain forms that intrigued me in Islamic painting. The union of those two very disparate stylistic phenomena produced something that you called “uniquely american,” right? So it’s funny...What we’re talking about here is believability. what is believable is related to a cultural moment. To what extent, or at what point, does the cultural moment interact with your aesthetic sensibility and the client’s mundane or practical informational needs? That’s hard for me to answer in a clear fashion. I know that it’s becoming more difficult for me to work with clients who have a too-clear idea of the aesthetic solution. Frequently clients want performance based on previous solutions; my own tendency is to become less receptive to repeating what I’ve already done. The situation I find most comfortable now is a situation in which people essentially simply trust that my understanding of the problem is equal to the task. Would you like the person giving you this assignment to describe the problem, if not the situation, or minimally, the market he’s trying to reach? what do you feel is the freest situation for you consonant with, obviously, the client’s need? I certainly don’t rule out a full discussion of the problem. But I go back to the ambiguities I suggested earlier re freedom and restriction. Remember, the freest situation is not necessarily the absence of demand; but if the work is outlined too specifically in its objectives and too precisely in what it hopes to achieve in terms of style, then obviously the work is less useful for me as a growth possibility. and my personal growth is a factor in the conception and execution of the task. How do you feel today about what faces young students in graphics, either relative to their art in a pure sense or relative to the society in which they’re going to work? We spoke earlier of an increasing resistance to advertising as a profession; concurrently there is an increasing willingness of many people in communication to accept the responsibility fo doing what they feel is ethically right. They do not want to be destructive to the community for whom they, in theory, work. They put themselves midway between the client and the public, as opposed to being simply an extension of the client. Today absence of urgency is inextricably linked to an unprecedented opportunity for influence through growing communication technology. The same is true for the designer involved in creating products for consumption relative to an increasing industrial capacity to produce things. Because we’ve become increasingly away that people, resources, and institutions are inter-related in a global, and perhaps even cosmic way, those involved in communicating myths, morals, news, and ideologies, have a central position and a unique responsibility. Since we have spoken about shifting societal patterns, how do you feel about individual achievement as it relates to group efforts? One’s individual contribution and perception is most useful when it’s shared. One of the things that is emerging is the capability of everyone to view his own life as an artistic entity. we’re perceiving more and more that the separation between artist and non-artist is becoming much more difficult to maintain. Every life has a potential creative or artistic content. At this time we recognize the possibility of integrating art and life. This will result in considerable discomfort to those people whose status comes out of being creative in a hierarchical sense. The possibility for seeing the relationship between art and life can be perceived in the design experience, although not exclusively. There is something in the act of composition, of moving things around until one finds a tough an expressive way for them to relate to each other that is also applicable in a temporal sense to one’s living experience. Undoubtedly, there are limits to what one can maintain for the design experience, but I believe that it is unique in that so much of our perception is visual. Neurologically, 80% of what we experience we experience though our eyes, so that many of the basic assumptions we make about the nature of life is visual. many of our limitations also come out of that perception, the fact that we don’t really use our other sense in an even proximate relationship to their potential. The visual experience is obviously the on with the greatest conditioning effect on us and those of us who work in the visual field can translate that phenomena perhaps most easily into our lives. Do the new media and technology, in your opinion, have an important effect on the designer and his work? Let me make a generality about how a designer or an artist works at his best level. The best work emerges from the observation of phenomena that exist independently of each other. What the designer intuits is the linkage, singular or plural. He sees a way to unify separate occurrence and create a gestalt, and experience in which this new unity provides a new insight. It doesn’t really matter, in a sense, what the subject matter is... or the means to convey it... what is essential is the perception of the linkages between phenomena. S whatever it is, whether it’s time and space or heat or light or you and me... the critical act is to understand the linkages and to bring phenomena that have never been unified into some kind of unity. That’s what design is about and that's what art is baout, and it doesn’t really matter what the media considerations are.